Three great mysteries of our faith are the Trinity, Incarnation and Eucharist. Mathias Josef Scheeben, a German theologian of nineteenth century, saw a relationship between these three great mysteries. In the Trinity, the Son of God is mysteriously present in the Father and dwells with Father and Holy Spirit through all eternity. In the Incarnation, from the “bosom of the Father” the Son of God, Jesus Christ, mysteriously enters the world through the womb of the Blessed Mother and takes on flesh and dwells among men. 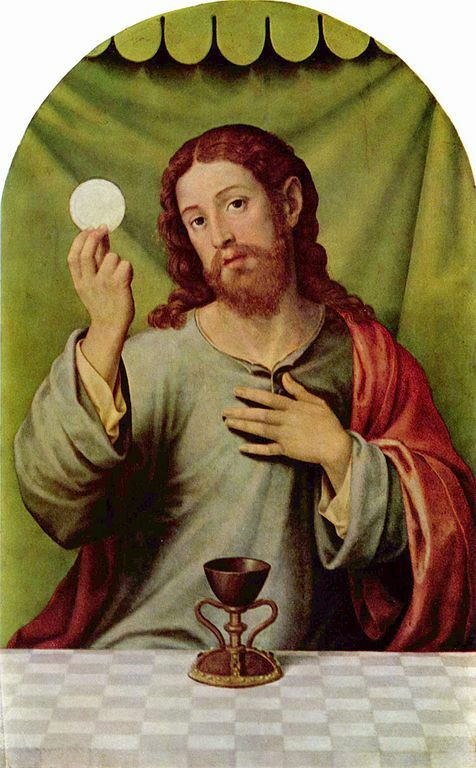 In the Eucharist, the Jesus Christ mysteriously unites Himself with His church and enters in and incorporates His real presence, His true flesh and true blood, His soul and divinity in those who partake of Him in the Eucharistic. These are the great mysteries of our faith. One god in three persons; Jesus Christ, true god and true man; bread and wine, while retaining the appearance of bread and wine, through transubstantiation become the true flesh and blood, soul and divinity of Jesus Christ. This entry was posted in Uncategorized and tagged Blessed Mother, Dwells Among Men, Eucharist, Father, Holy Spirit, Incarnation, Mathias Josef Scheeben, Mysteries of Faith, One God in Three Persons, Son, Son of God, Takes on Flesh, Transubstantiation, Trinity, True Flesh and True Blood. Bookmark the permalink.